Here at The Village Orthodontist, we believe in building positive relationships as much as positive results. 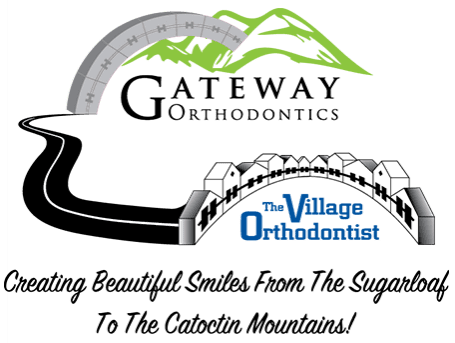 Our team is dedicated to treating each patient individually in a friendly, comfortable, and informative environment, while utilizing the latest in orthodontic treatments and techniques to provide high quality care. We know that you are putting your trust and well-bring in our hands, and we will make sure that you are confident and informed about whatever procedure Dr. Jon A. Moles determines is best. To achieve optimum results, successful orthodontics requires a series of scheduled appointments throughout the treatment period. Whether it is metal braces, clear braces, or Invisalign, your appointments will be scheduled approximately every six to eight weeks after the appliances have been placed or given to you. We are sensitive to the fact that families have many obligations during the day and desire appointments that do not take away from school or work and we will work with you to arrange your appointments around these commitments as much as possible. Your scheduled appointment time has been reserved specifically for you. We are aware that unforeseen events sometimes require missing an appointment but please give us at least 24-hours notice if you need to reschedule your appointment to allow us enough time to offer your time slot to others who are waiting. After missing your second appointment without notifying us 24 hours in advance, you may be charged an additional fee. Several options are available for payment of your portion of the treatment fees including pay in full discountsand our in-house, interest free, automatic payment plan. We also offer active duty military discounts and multiple family member courtesies. Any unpaid insurance balances are ultimately the responsibility of the insured, therefore, it is important that you understand your benefits. Upon scheduling your initial consultation our staff will gather necessary information to perform a predetermination of your insurance benefits. Typically, dental insurance is classified into two types, PPO and HMO/DMO. If your insurance is an HMO or DMO and you have orthodontic coverage, you must see an in network provider to receive benefits. If you do not have orthodontic coverage on your plan, you are free to see any provider; there will be no guaranteed benefit to staying in your network. PPO means that you have the freedom to choose any willing provider. Dr. Moles accepts the assignment of benefits for all PPO insurances, including but not limited to, Aetna, Metlife, United Healthcare, Guardian and GEHA. As a courtesy to our patients, we bill most PPO insurances and apply your benefits directly to your account. Not all plans have orthodontic coverage. Not all PPO plans will pay directly to a provider, on occasion, the payment will be made directly to the patient. Dr. Moles is a participating provider for Delta Dental Preferred and Premier PPO plans as well as, United Concordia PPO plans. Orthodontic treatment is FSA and HSA eligible. Our Financial and Insurance coordinator is very knowledgeable and is available to help you maximize your benefits. If you have any questions, our courteous staff is always available to answer them.